One of my regrets from my seminary days is not being more fully present to my studies. Perhaps it was the multiple hundred-mile round-trip treks to serve as a youth pastor each week, or the constant catching up with the hundreds of pages of theology, church history and biblical language studies each week, or just trying to figure out who on earth I was and where God might be leading me, but much of what I read escaped my brain as soon as I wrote it down for an exam or typed it for a paper (of course, in reality, it was probably some combination of the three, plus many other factors). Recently, I am rediscovering many theologians whose writing & thoughts I did not have the time to engage deeply while I was a seminary student. Real prayer to God awakens all our senses and alerts our minds and spirits. The person who prays, lives more attentively. 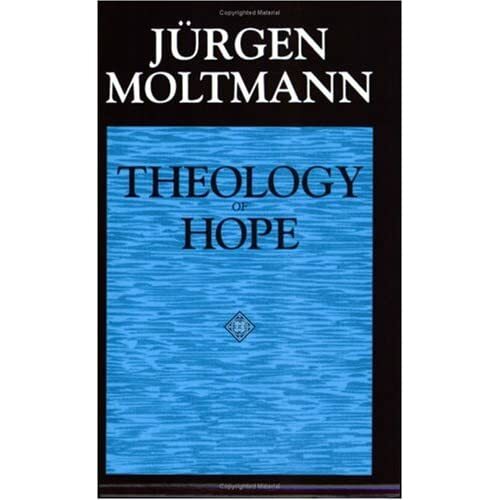 Theologian friends, any thoughts on Moltmann? My theology reading is painfully slow (I think reading Karl Barth has permanently damaged the theology-reading part of my brain. Seriously, I would have to read a paragraph of his, like, five times over just to catch a glimpse of what he was saying), so any insight would be appreciated! I have two of his books burning holes on my bookshelf. I’ll get to them sooner or later. From what I’ve read/heard/observed, he’s a very important modern theologian. I feel the same way, not just about my time at PTS but about h.s., college, and all of grad school! He’s an important fountainhead for some of the most pregnant theologies today; liberation theology built upon his Theology of Hope, and social Trinitarianism benefited from his Trinity and the Kingdom. Both of those theo’s mean a lot to me for praxis..
It’s been about 10 years since I last read Moltmann’s Crucified God. Like you, my head is still spinning from the old PTS days. What I liked most about Moltmann was his insistence on questioning the impassibility of God. In the crucifixion we see God’s solidarity with human suffering, the pathos of God is evident in Christ’s death. That’s my $0.02. What I’d like to know from you Dan is this: how have you translated what you’ve learned in seminary to your congregants? Especially to those that might not have such an interest in reading Barth or any other theologian. Edwin — Thanks for sharing your insight here. I really appreciate it! The question you asked regarding translating theology from the academy into the everyday life of the church is one I’ve wrestled with since we left PTS. I think I’ve tried to live into some of these ideas deeply enough so that they’re natural expressions of my own everyday life & faith. That way, when I teach/share some of these things, they’re more authentic (although you’ll have to ask people from our church community what they think!!). I wish I could see you in action! I have a feeling that you translate all of it very well with your worship community. Best wishes to you in your ministry, and your Moltmann reading! Edwin – Thanks for the very kind words. I am going to take a shot at reading “Crucified God” as we journey through Lent. Our people have really resonated with the idea of suffering well (maybe it’s the Korean in many of us). I think “Crucified God” will speak to our church during Passion Week in particular.